A long cherished ambition to eventually come up with comprehensive book entitled "Clinical Protocols in Obstetrics and Gynaecology For Malaysian Hospitals ". 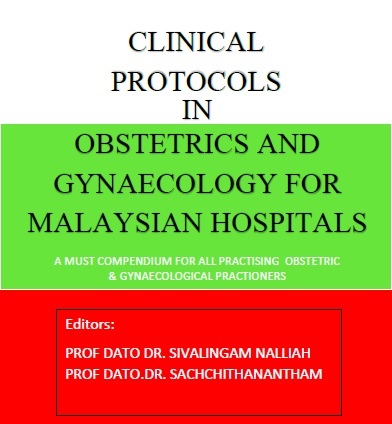 A must have compendium for all practicing obstetricians and gynecologists. This 813 pages book written by more than twenty renowned authors covers an extensive number areas with current evidence based approaches and it is the hope of the editors that with the availability of this quick referencing for all those health workers involved in the care of women, perinatal and maternal mortality will see a decline in the forthcoming years with better care for the gynaecologic patient. As mentioned above its a must have for all practicing doctors in the obstetrics and gynaecologic wards and floor. Hi. can u upload the full version?